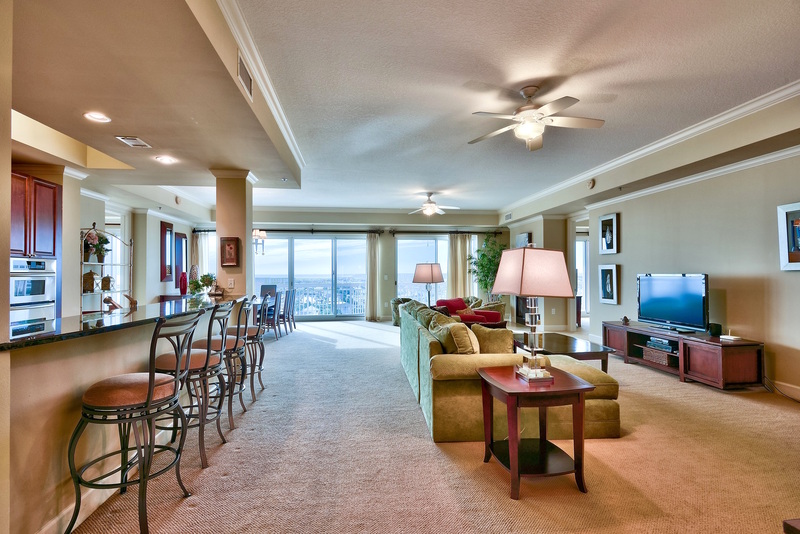 Dramatic views of the Destin Harbor and the Gulf of Mexico highlight this open and airy 10th floor penthouse at Harbor Landing in Destin, FL. 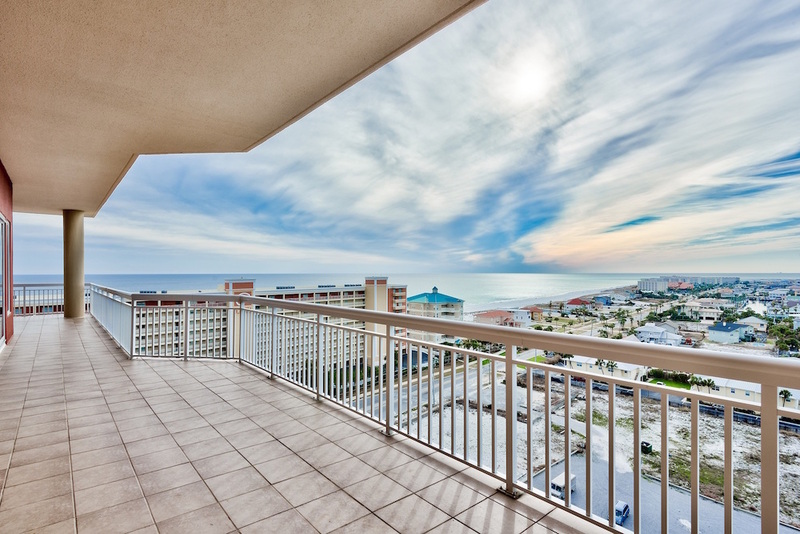 725 Gulf Shore Drive, Unit 1001B is rental ready with furnishings conveying in sale. Boating and beaching lifestyles combine in perfect harmony at Harbor Landing. The penthouse at Harbor Landing includes a rare boat slip with lift, a wraparound balcony, and a spacious, entertainment deck. An open floor plan allows natural light to reach deep within the interior. 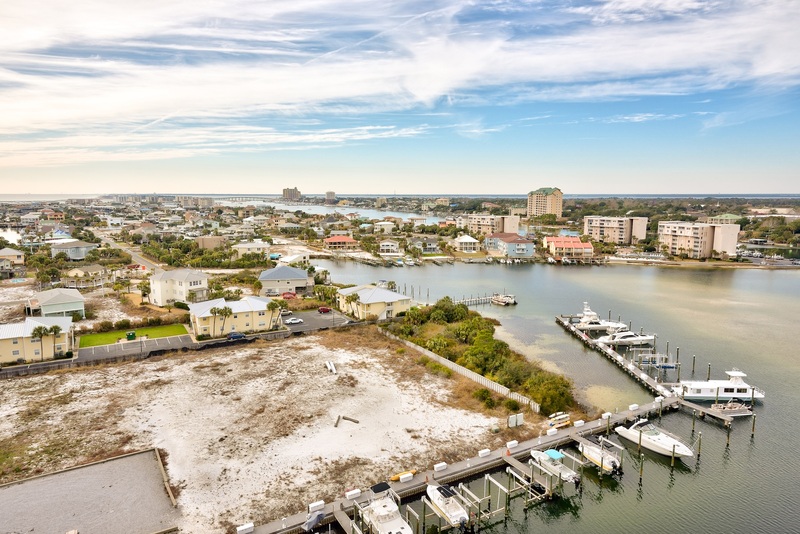 Views of the Destin Harbor and Gulf of Mexico are present throughout. 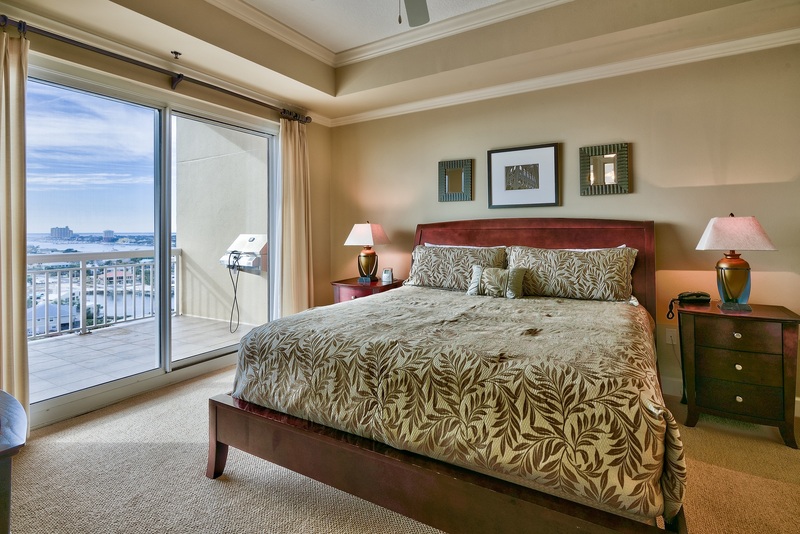 Two master suites offer immediate access to the balcony, water views, trey ceilings, and en suites with garden tubs and double vanities. 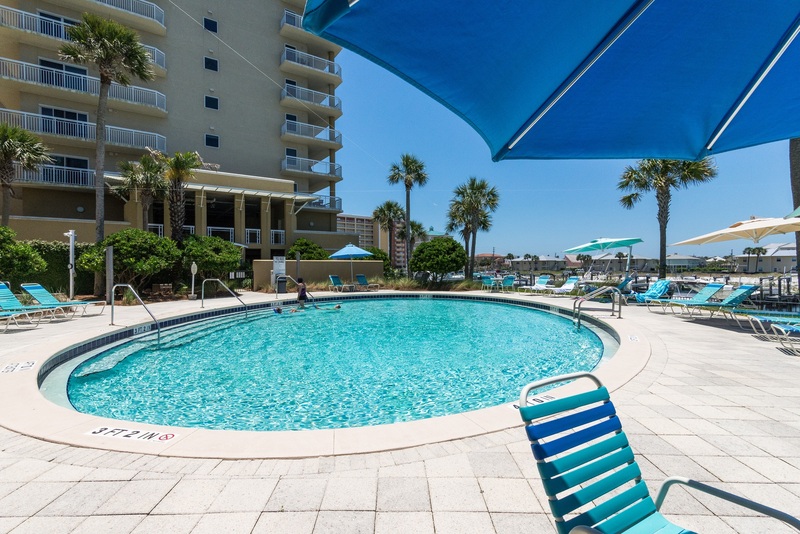 Harbor Landing’s amenities include an exclusive owner’s pool, 3,100 sqft lagoon-style pool, spa, and fitness facilities. 725 Gulf Shore Drive, Unit 1001B features 4 bedrooms, 4.5 baths, 3,238 sqft and is now offered at $950,000.